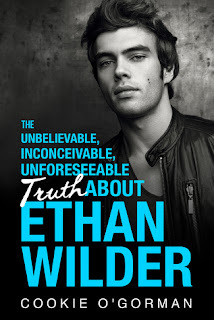 I'm very pleased to be taking part in the blog tour for Cookie O'Gorman's book The Unbelievable, Inconceivable, Unforeseeable Truth bout Ethan Wilder scheduled for release on April 5, 2018! Let me just say the book is very aptly named indeed! Check out the exciting book details and giveaway below!! In the south, everyone has a secret--and murder is served with sweet tea. The word's out: Ethan Wilder’s coming back to town, and the people of Bowie, Georgia are in a southern tizzy. Everyone knows the story. He shot and killed his sister four years ago, and people say his father, Jim Wilder, the biggest holy roller this side of the Mississippi, sent him packing for just that reason. Even if her death was unofficially ruled a suicide, Ethan’s return has everybody talking. I wasn't sure what I was going to think about this book when I first began reading, but if it says anything to you at all that I finished it in one sitting, then you know you need to check this book out. It far exceeded any expectations I could have had. It had murder mystery, suspense, a little comedy, and one heck of a good romance. Great mixture of elements there that had me totally engrossed. This author did an amazing job with characterization. I loved them all, even the secondaries. They were all so well-rounded and three-dimensional, even if they didn't have much page time, you felt you really had a good knowledge of who they were as people. The main characters were amazingly written, especially Delilah. I loved, loved, loved this girl! 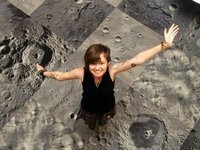 She was such a unique character to read, a wonderful mixture of steadiness. She was out-going and extroverted but with a dry sense of humor that made following her narrative a pleasant, sometimes funny ride, even in the midst of the mystery taking place around her. Ethan was a mystery on his own, but one Delilah has no trouble taking on. I can't say much about him without ruining some aspects of the story, but I will say that I had a gamut of emotions while reading about him. The mystery surrounding him and the story were so well done. The story itself was unique, interesting, and surprising. It took me on twists, and turns, and then more twists and turns, and then I, who pride myself on being able to "figure it out" before the end" was utterly shocked. Great job to the author on keeping me guessing! The story's pacing was perfect and kept me reading. I didn't want to put this book down at all. I absolutely loved it, and I can't wait to see what is next for this author. A fantastic read! !